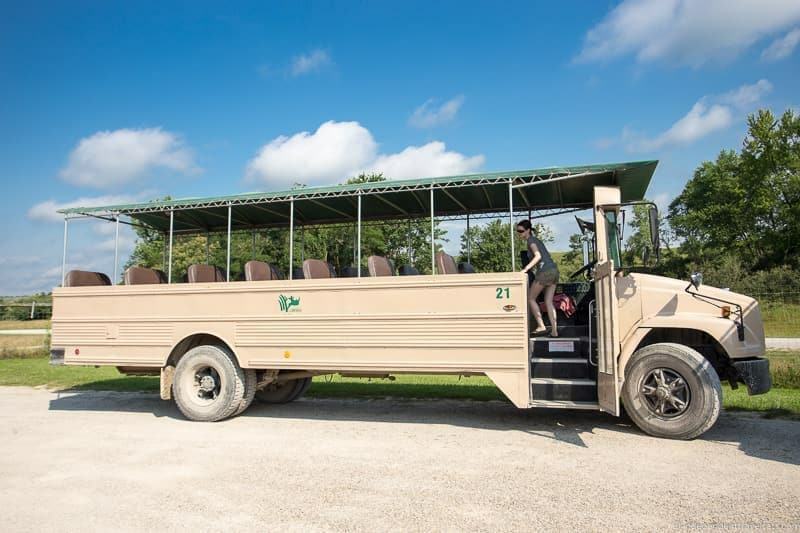 Visitors can not only do regular bus safaris to see the animals, but The Wilds in Ohio also offers horseback safaris, fishing safaris, ziplining, a butterfly habitat, education programs, summer camps, and overnight lodging. 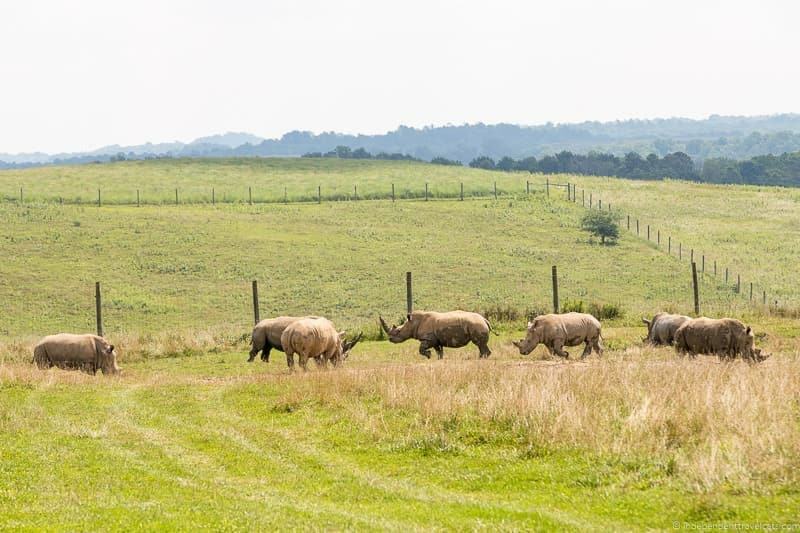 This non-profit open-habitat safari park is a pretty amazing place given that this is reclaimed land which was strip mined for coal from the 1940’s to the 1980’s, which destroyed most of the natural wildlife and resources in this area. If you are in Ohio, this is definitely a place to consider adding to your itinerary. 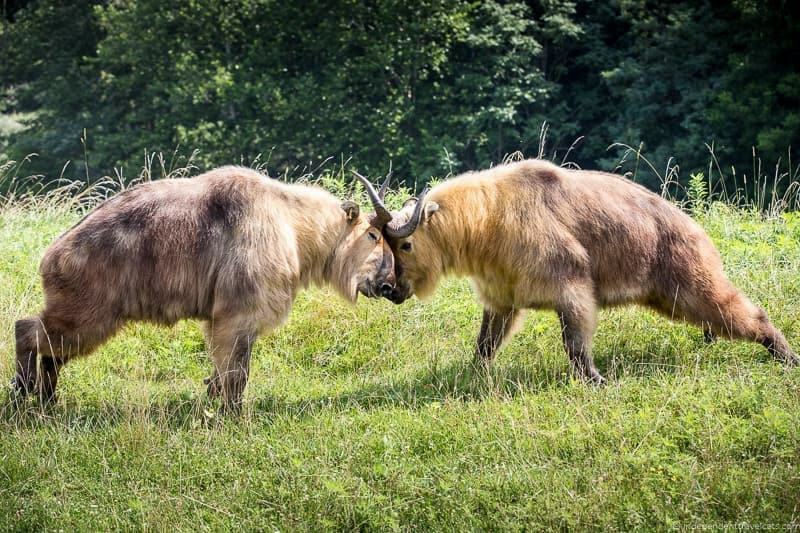 We’ll give you all the information you need to plan a trip here and tell you about our own experience visiting The Wilds animal park. What is the Address of The Wilds? How to Get to The Wilds Ohio? When is the Best Time to Visit The Wilds? What Safari Tours are Offered at The Wilds? Other Activities at The Wilds? What Dining Options are there at the Wilds? Can you Stay Overnight at The Wilds? Need More Information to Plan Your Trip to The Wilds? Here is all the info you need to start planning your trip to The Wilds in Ohio. The Wilds is located outside the small town of Cumberland, Ohio and the best way to get here is by car. I could not find any public transportation options but you could of course book a taxi or Uber if needed. It is approximately 75 miles (1.5 to 2 hour drive) from Columbus, OH, 20 miles (35 minute drive) from Zanesville, OH, and 140 miles (2.5 hours) from Cleveland, Ohio. You can find directions online provided by The Wilds depending on your location. Note that there is a $6.00 parking fee to park at The Wilds unless you are a member. The best time to visit The Wilds for most activities is from May through September. The Wilds is typically open for its regular visitor season daily from 10am to 4pm May through September and then weekends only in October. Recently, The Wilds has also started the Winter at the Wilds Tour that allows for pre-registered guests to visit and tour The Wilds from November to March. While many of the regular tours are not available during the winter, the Winter at The Wilds tour is run twice a day. 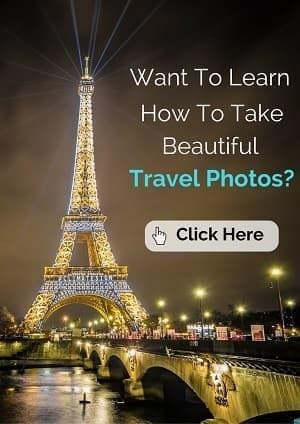 These are more intimate tours with up to 6 people. The most popular activities not surprisingly are the Wilds safari tours, and most people take one of the group safari tours that are led by knowledgeable guides. The main tours are given in an open-air bus with a canopy, and there are a couple of places the bus stops where you do a bit of walking. Tours last approximately 2 hours, but I would allot at least 3 hours for your visit as you’ll need to get the shuttle to and from the parking area, may want to visit the butterfly habitat or other exhibits, and there are also places to shop and eat. If you interested in a more intimate experience, you can reserve a Wildside Tour and get a more exclusive safari experience with an Animal Management specialist amongst a smaller group (these are typically offered in an open-air pickup truck) and you get to see some of the daily happenings at The Wilds such as an animal medical procedure, help in feeding the animals, or an ongoing conservation project. 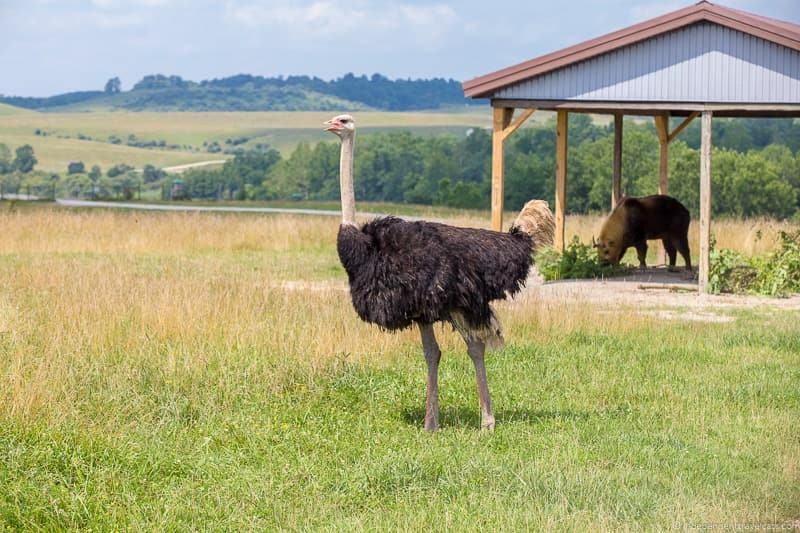 All of the tours at The Wilds take you through all the open-range enclosures where you’ll get to see many of the animals roaming in the fields as well as stops at Lake Trail and the Carnivore Center. You also have access to the Butterfly Habitat which you can explore at your leisure before or after the safari tours. On the weekends during the summer months, these tours are also offered at sunset and include a buffet dinner at the Overlook Café. Check out The Wilds website for current tours and tour prices, with tours currently set (as of July 2018) at $30.00 per person for the open-air bus tour. 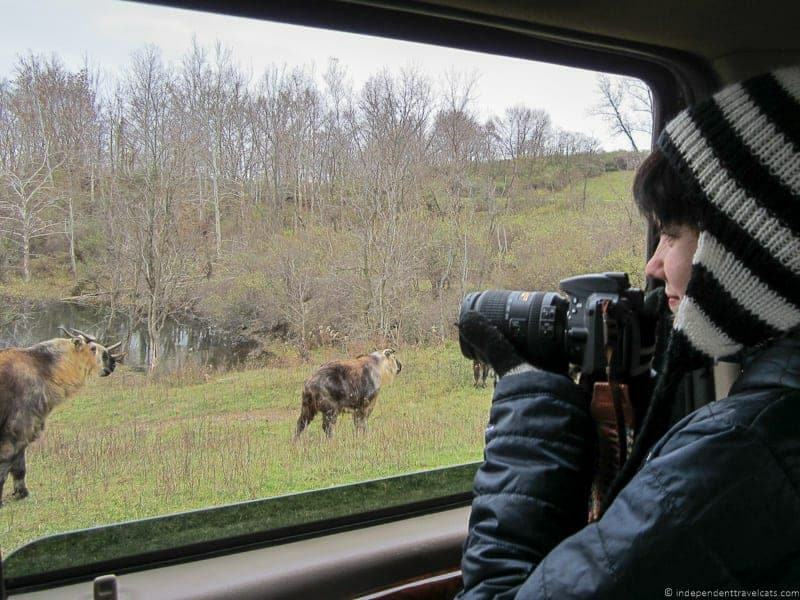 In addition to the main animal safari tours, there are a number of other visitor activities offered at The Wilds. You can easily spend a full day or a full weekend at the Wilds. These include fishing, horseback riding, sunset tours, and ziplining. The Wild Zipline Safari provides the opportunity to view parts of the large preserve and some of the wildlife from above across 10 different ziplines (a shorter version that includes only five ziplines is also available). 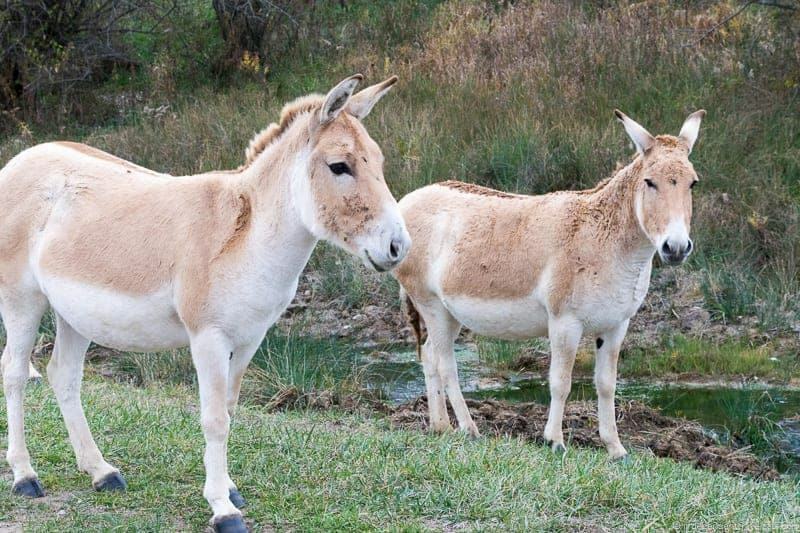 For those who live nearby or have more time for a visit, the Wilds also offers educational programs, WildeCamps, and Family Camp weekends during the summer months. They can also accommodate a wide range of events from corporate retreats to weddings to birthday parties. The Wilds has also been recognized one of Ohio’s Most Important Birding Areas by Audubon. It is a good place to see a number of birds, including raptors, grassland nesting birds, and ospreys. The Wilds has made a birding station located at Jeffrey Point accessible to the public and it is open 24/7 for no charge. 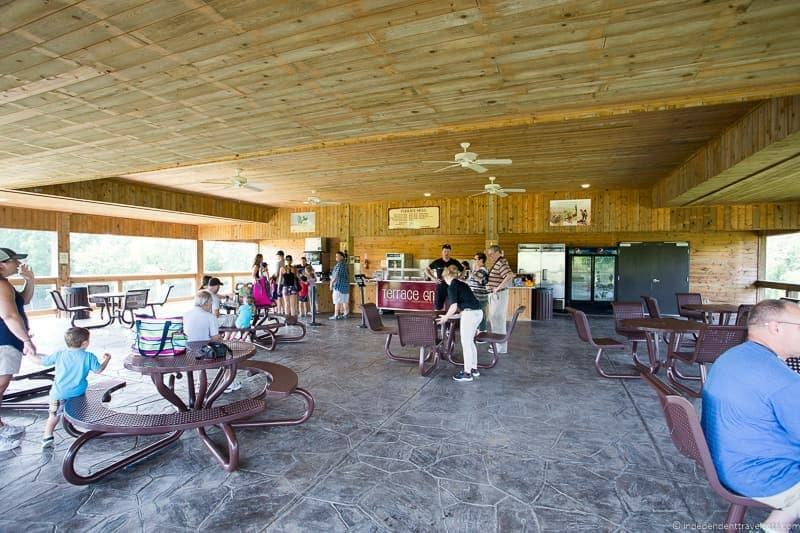 The visitor areas at The Wilds are generally accessible for those with reduced physical mobility and those in wheelchairs and meet ADA guidelines. There are tour buses and shuttles that can accommodate those in a wheelchair, and you can denote that you need a wheelchair space when you book your ticket. Most of the tour is spent inside the bus but there is a short walk to see the parakeet aviary and a longer walk to see the carnivores’ enclosures. As with most places, it is wise to call in advance to discuss any special accessibility needs before booking. Food and snacks are available for purchase at the Safari Snack Depot, Terrace Grill, and Overlook Café. Note that many of these close during the winter months. Food available includes hamburgers, hot dogs, pizza, chicken, ice cream, snacks, soda, coffee, and beer and wine. Evening safari programs during the summer often include a buffet dinner at the Overlook Café. You can stay within The Wilds parkland or you can stay in a nearby town. The Wilds as you might imagine are in a very rural location but there are towns with lodging within 20 miles of the park. 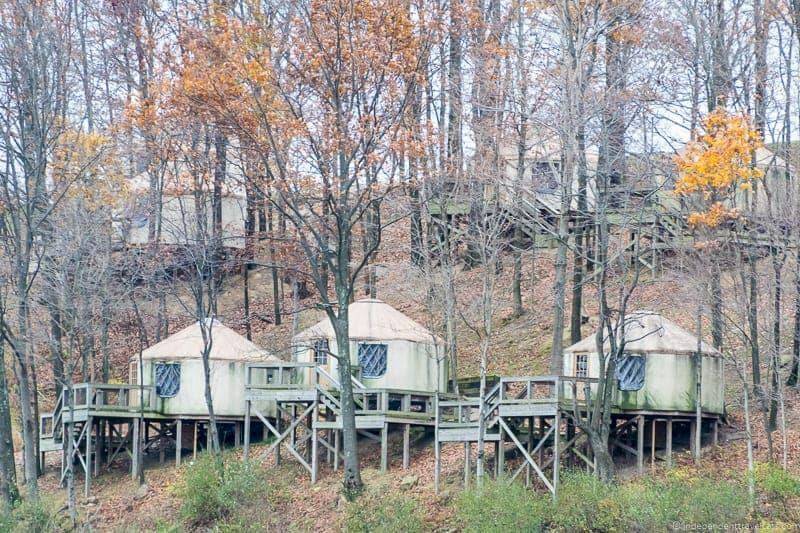 You have a few options if you want to stay overnight at The Wilds, including staying in a luxury yurt or a large family-friendly cabin. The yurts are currently adults-only (21+) and are located within the park at Nomad Ridge and are built on large platforms with screen windows, bamboo floors, wooden doors, a private bathroom, and an observation deck for private wildlife viewing. There are also several cabins that have been recently built around Straker Lake within The Wilds which provides another option. These can accommodate up to 6 persons and are perfect for families or small groups. 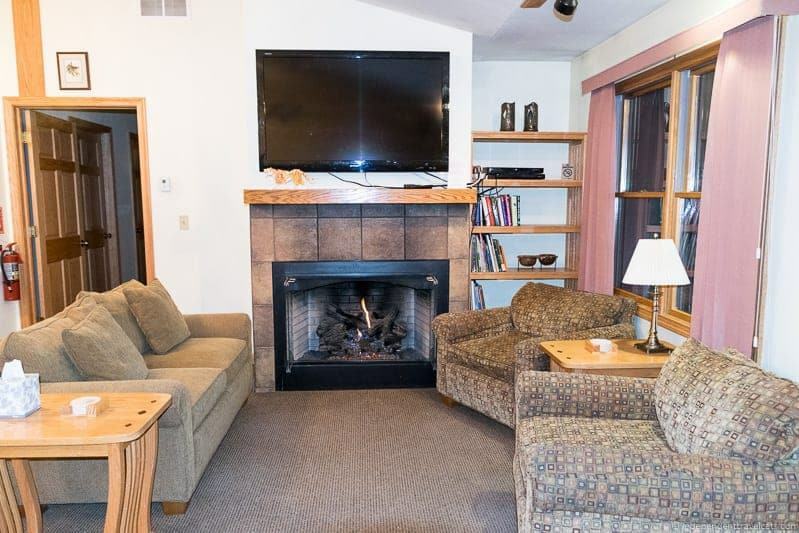 If you are coming with a big group or family, you might also consider The Lodge which is a large 6-bedroom cabin complete with a fully-equipped kitchen, bathrooms, television, Internet, washer and dryer, gas fireplace, outdoor fire ring, games, books, canoes, and fishing and boating equipment. If you book a reservation in one of the yurts or The Lodge, you’ll receive discount pricing on many of the tours and activities offered at The Wilds. We did not stay in any of these lodging options, but we did see them while we were there and both options looked quite nice. NOTE: No pets are allowed on The Wilds property, including in any of the lodging, for obvious reasons. They may also not be left in your vehicle, so please be sure to leave your dogs at home. Service animals are of course welcome. If you are looking for nearby lodging outside the park, you can find a range of options in the nearby cities of Caldwell, Cambridge, Zanesville, and Marietta. The closest lodging is in the town of Caldwell which has several motels and a B&B. You can compare prices here. 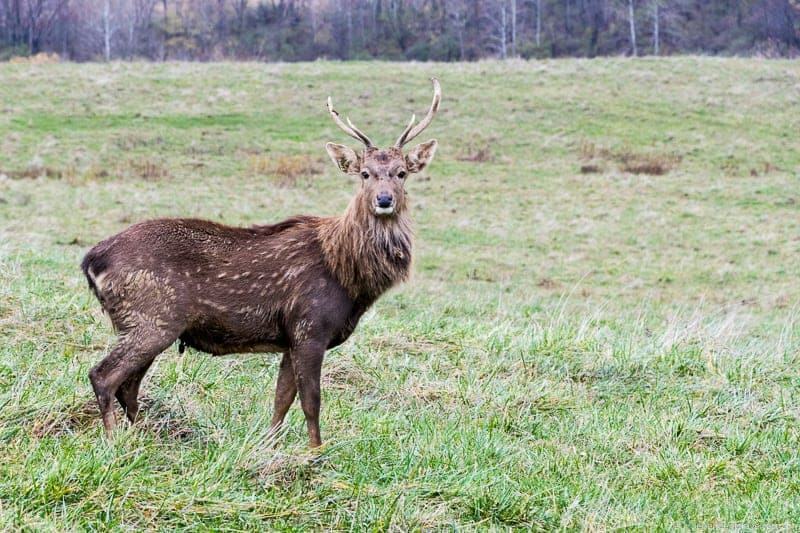 The official official website for The Wilds is a very useful to find information or book tickets, but you can also call them at 740-638-5030 or check out their active Facebook page where you can see recent photos as well as potentially find a discount code or win a free visit. 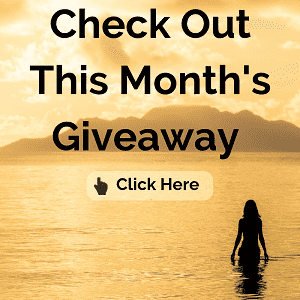 If you want to explore the area around The Wilds more fully you check out other things to do nearby around Zanesville, Ohio and wider tourism information for the state of Ohio. I grew up near The Wilds and it is by far the largest tourist attraction in our local area, but for some reason or another I had never visited while I was growing up. During college, I knew several people who did research practicums and internships here given the amazing educational and research opportunities that are available here to local students. In fact, I went to the same college as Jack Hanna, a famous zookeeper and animal expert who has worked with and promote The Wilds. I guess it is one of those things where you look back and realize that you never visited many of the cool places in your own backyard after you have left. 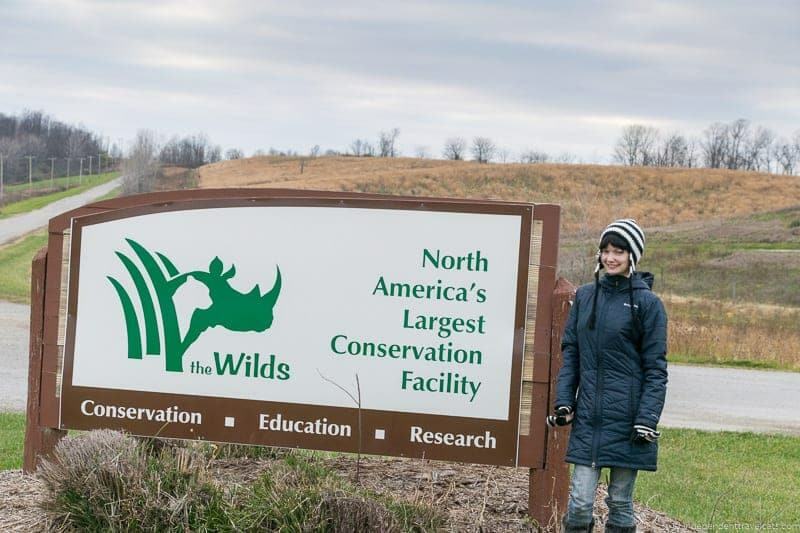 So on a return visit to Ohio to see my family in winter 2014, I made sure that I had time to include a visit to The Wilds. It was definitely time I finally made it here! After that winter 2014 visit, I returned again in the summer of 2017 to experience one of the open-air tours that was not offered when I visited in the winter in 2014. So I’ll break this down by The Wilds winter visit first and then a bit about the summer open-air safari experience. I made a reservation in advance for the Winter at the Wilds tour which is the only tour that is regularly given during the winter months. Ethan and I visited in November 2014 and it was a cold day and so we were bundled up in coats, hats, and gloves for our visit. We arrived at the parking lot (there is a $6.00 parking fee) and we were met within a couple of minutes by someone from the park management team and then our guide who was a member of the animal management team. The Winter at the Wilds tour is similar to the regular Wildside Tours given during the rest of the year. However, instead of an open-air vehicle, we were in an enclosed heated vehicle, but we were able to roll down the windows as needed to take photos so that was not a problem and we needed the heat! While you cannot get out of the car within the open animal enclosures, you’ll get to walk around in other areas such as around the Carnivores Center and if you visit the barns during the winter. Our first stop was actually not to see wildlife but to see a restoration project being conducted by the Wilds Restoration Ecology department. 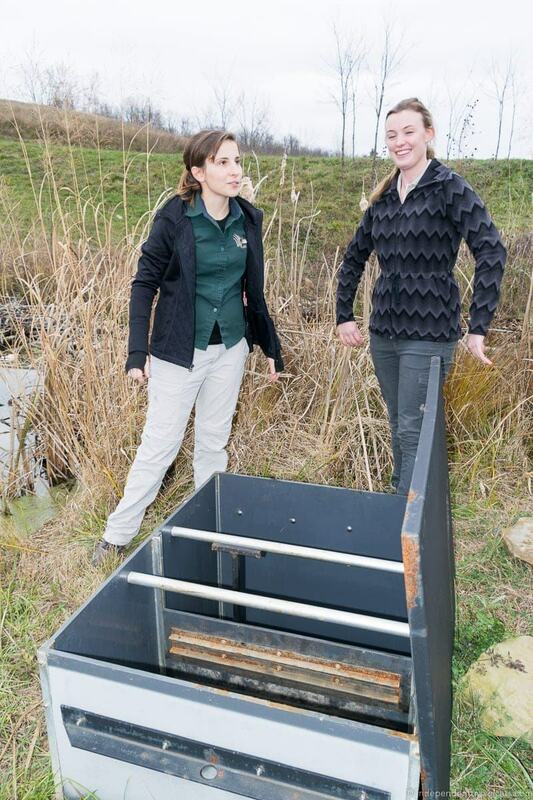 Friendly Rachael and Kelsey who were hard at work in the wetlands area, talked to us about conservation within the wetlands and they showed us a neat water system they use to monitor and maintain water in the wetlands area. This is a good reminder that a visit to the Wilds does not just have to be about the animals, but there is almost 10,000 acres of land here and all kinds of ecosystems. Strip mining negatively impacted much of the land and streams in this area and it is amazing to see the revival that has come about because of the hard work by the folks at the Wilds. If you are interested in ecology, botany, water management, birding, insects, etc. let your guide know as there are many different types of environmental projects happening here at any given time! The next major stop on the tour was to the Wilds’ Carnivore Center. Here you can get out of the car and walk around and see the animals from various viewing points. During our visit, there were painted dogs, dholes, and cheetahs. 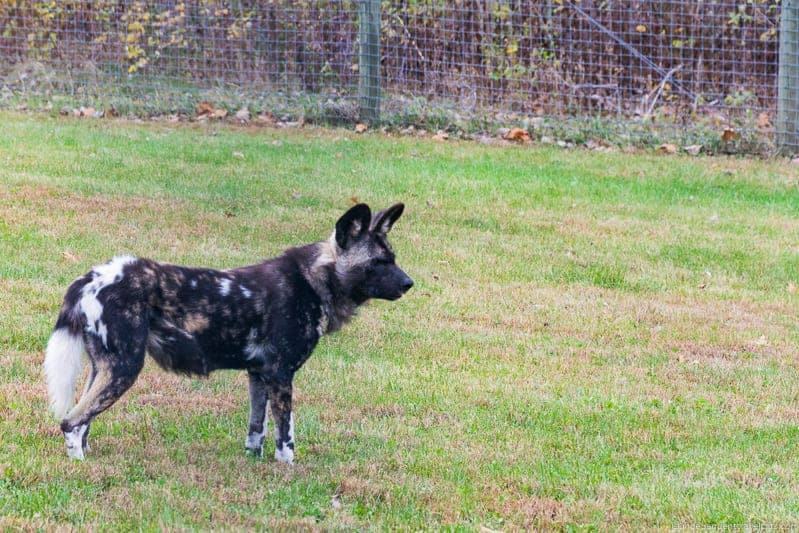 Be careful to stay back if you get near the African painted dog enclosures as they are not friendly puppies! 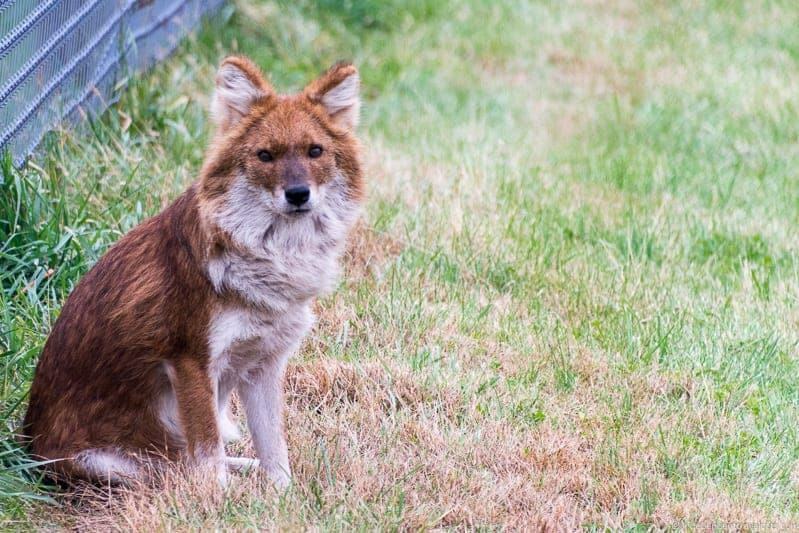 I had never seen a dhole before but I remember my friend in college talking about these while she worked at the Wilds. They are super cute canines that are native to Asia and look quite a bit like a fox. 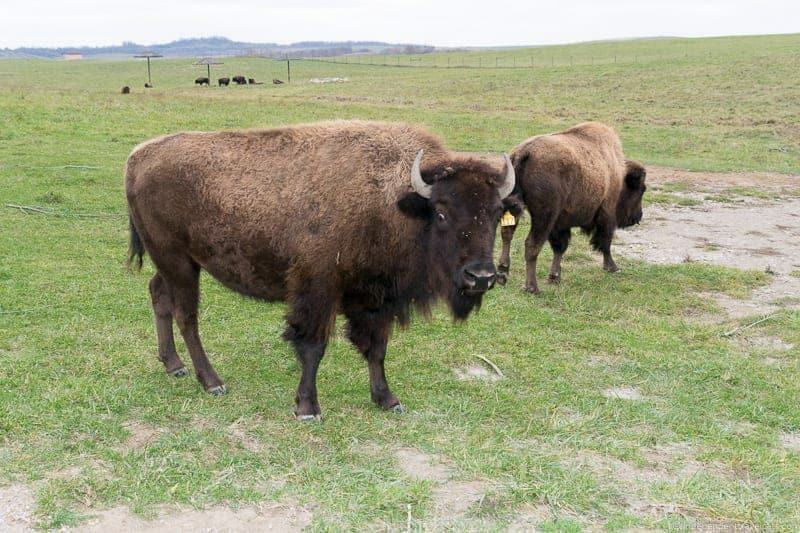 Breeding programs and research at the Wilds is geared towards helping the survival and conservation of these threatened and endangered species. 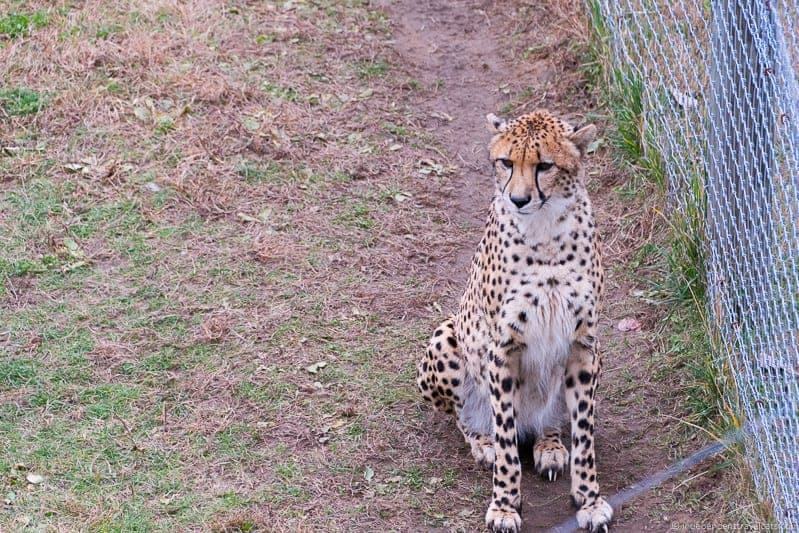 The Wilds has been successful with its cheetah program as the first cheetah cubs were born here in 2010! The rest of our visit focused on driving through the open range enclosures, which contain the vast majority of the animals at the Wilds. These include camels, bison, zebra, Southern white rhino, wild horses, ostrich, giraffes, and various types of deer and antelope. 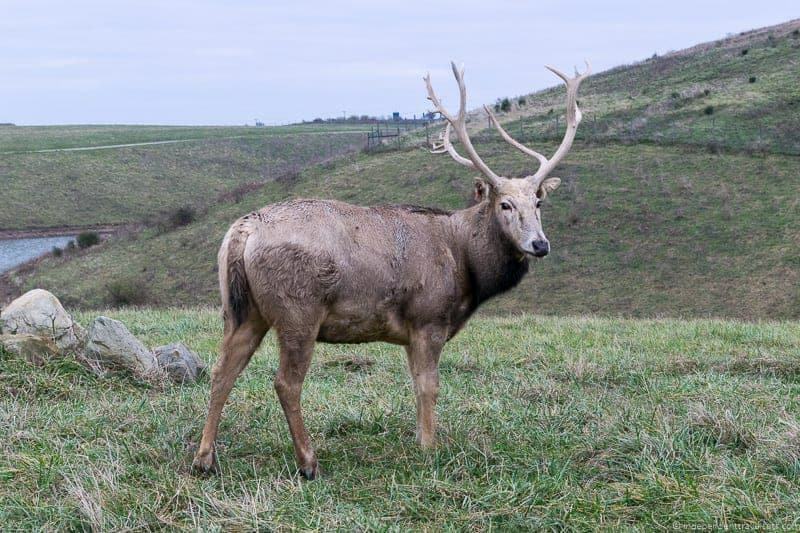 You are also likely to see some of the native species that roam around the Wilds such as local deer, birds, or coyote. If there are certain animals that you are very interested in seeing or want to learn more about, just tell your guide so they can better allocate your time as there is a lot of open space. As animal management specialists who work with the animals, they can help give you the best chance to see the animals you want to see and also give you more time with them if they can. 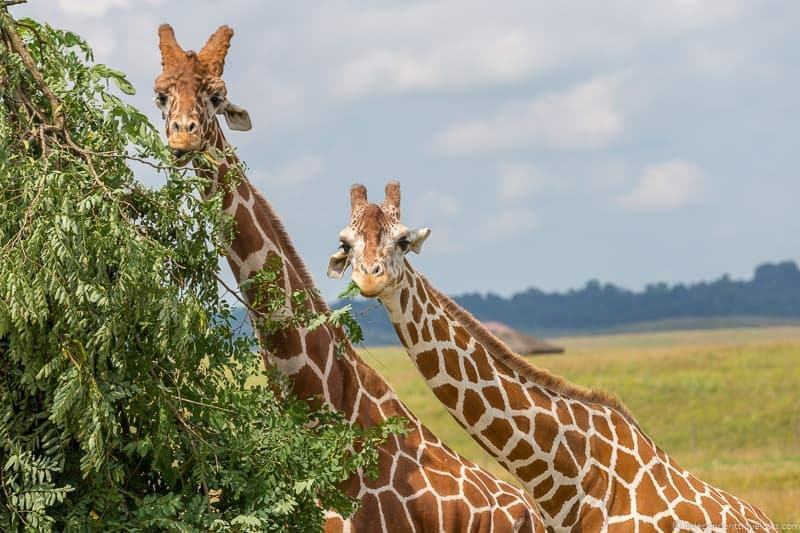 During any tour, since the animals live in large open enclosures you’re likely to see many of the species up close while others are likely to be hidden a bit in the trees or near the lake where you might not get an up close view. For instance, we only got distant views of the ostriches who preferred to hide themselves amongst some trees on the opposite end of the lake from us. We got a good look at most of the animals and we were able to get within touching distance (no touching!) of several animals who largely ignored our vehicle. 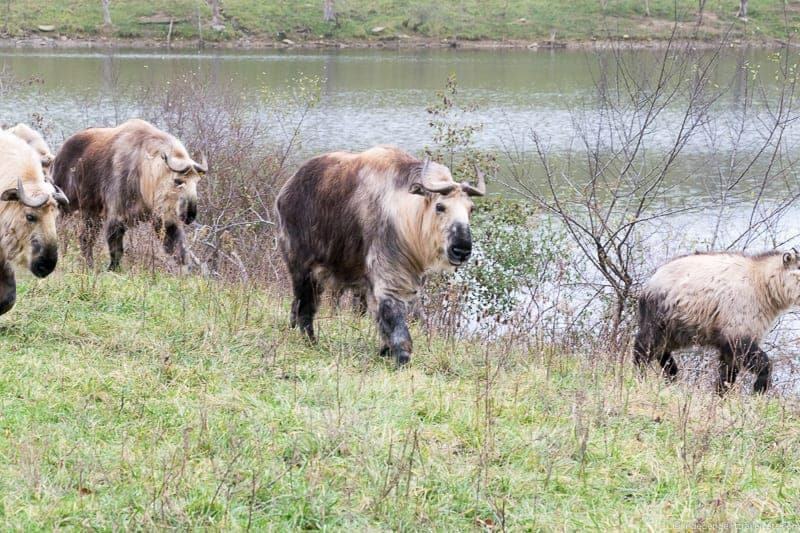 The Sichuan takin are interesting animals that I have never seen before and there were a lot of these critters along with a number of deer, horses, and antelopes. Some of the deer were losing their antlers or were in the process of doing so which occurs in the winter months. 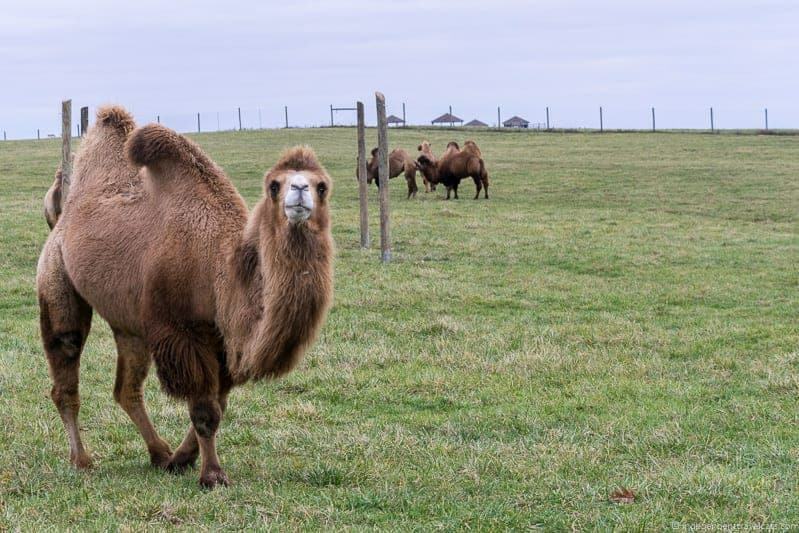 The type of camels at the Wilds are quite funny to watch as they are very curious and will get very close to the vehicle. 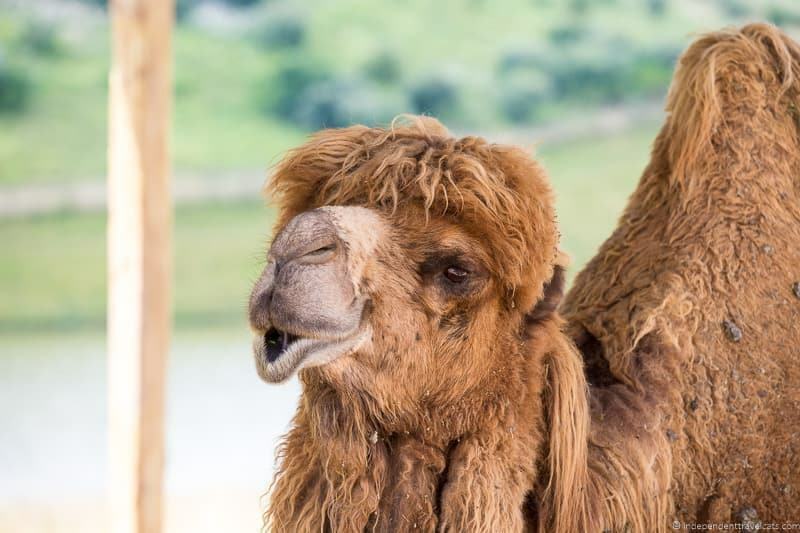 When they walk, their two humps of fat flop around quite a bit on the older camels. 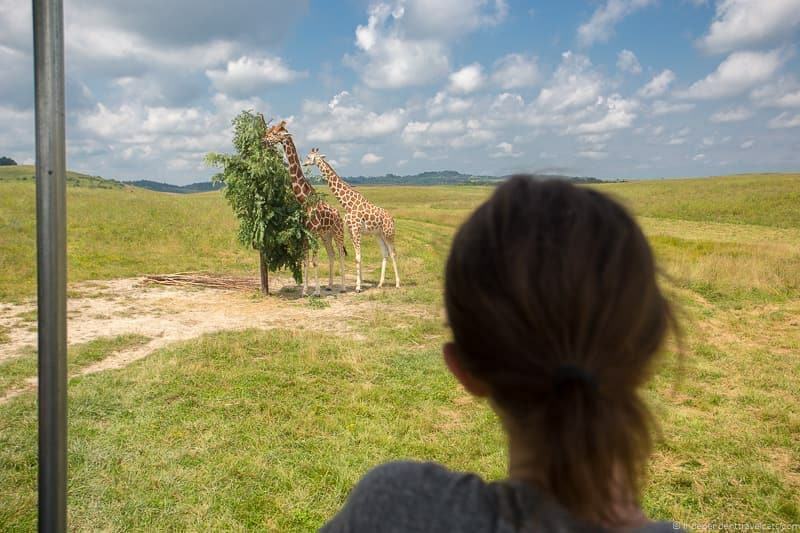 Typically, visitors would have the opportunity to tour some of the winter facilities for the animals on a Winter at the Wilds tour to see animals that need to be kept inside on cold days such as the giraffes. But a white rhino baby had just been born a day or so before our visit and so we were unfortunately not able to visit the barns. The animal management team did not want anyone disturbing the new rhino calf and there had not been a press release yet about the new baby. Although this sadly meant we could not visit the animals that were in the winter housing and barns that day (rhinos, zebra, giraffes), it is a remarkable event as the calf was the first fifth generation white rhino born outside of Africa and is a testament to the breeding and conservation program at the Wilds. 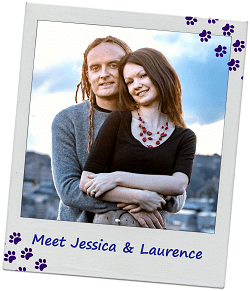 In the summer of 2017, I returned again to the Wilds with my husband Laurence. This time we did an open-air animal safari tour. These are the most common type of tour that people take on a visit to the Wilds and are typically available from May to September. The tour took two hours and was in an open-air bus. It was definitely a different experience to visit on a hot summer day, and it was nice to not be all bundled up in a winter coat and gear. It was also nice to see the green grass, full trees, and local wildflowers. In terms of the animal, we saw many of the same animals I had seen in 2014; however, we also got to see a few animals I had not been able to see on my winter visit such as the parakeets in the small aviary, the giraffes, the white rhinos (although at a distance), and the ostriches. We also got to see the tankins really up close as they were fighting, playing, and mating near our vehicle! Overall, we had a fun time on both our safari tours at the Wilds. We learned a lot, saw lots of animals, and received a warm welcome from our knowledgeable guides and other staff. A great advantage to visiting in November was that we had the park to ourselves since there are relatively few visitors during the winter months. The only disappointment during that visit was not being able to see the giraffes or rhino, but we totally understood that the health of the newborn rhino calf took precedence over our visiting the animal barns! During the summer tour, it was nice to see the Wilds all green and alive. It was also nice to see some of the animals like the giraffes and rhinos that I had missed on the previous winter tour. The open-air safari bus makes for a nice way to experience the park and see the animals, and reminded my a bit of my safari experience in Africa. Another good thing about the summer is that there are more food facilities open so you have more opportunities to get a snack or have a meal. Overall, I would definitely recommend a trip to the Wilds if you find yourself in this part of Ohio. Not only is it a great place to view wildlife, but the organization is a top-notch research and conservation facility committed to a number of good causes. For me, this was a great chance to visit a cool place that I had missed growing up in this area! Are there places near where you have lived that you never took time to visit and then regretted it once you left? Planning your own trip to the Wilds and have a question? As always, feel free to ask us questions about our visit to the Wilds in Ohio or share your own experiences in the Comments section below! Thank you for your comprehensive review! Just caught the end of Jack Hanna’s wildlife safari insisting The Wilds. 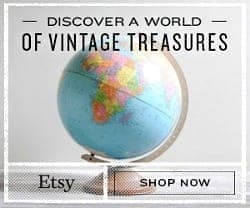 I found your site when I searched for info. Happily it sounds like this is a trip that all ages can enjoy and we can camp too! Thanks to your thorough review we’re planning our own visit to The Wilds this summer!!! I have a scout troop ,and we are interested coming down and camping either there or near by. We will want to tour and zip line. We would be arriving July 21 and have all of the 22nd to do all of the above.Please let me know if this is do able and how much it would cost. Hi – we will be visit “the wilds” in two weeks and staying for 2 nights (July 19&20). Are there any suggestions you can give us to enhance our visit? Hi Donna, I am sure you will have a great time at The Wilds! The summer is a great time to visit as all the facilities will be open and the animals should be out and about. I would reserve your tour in advance so you get the dates/times you want. 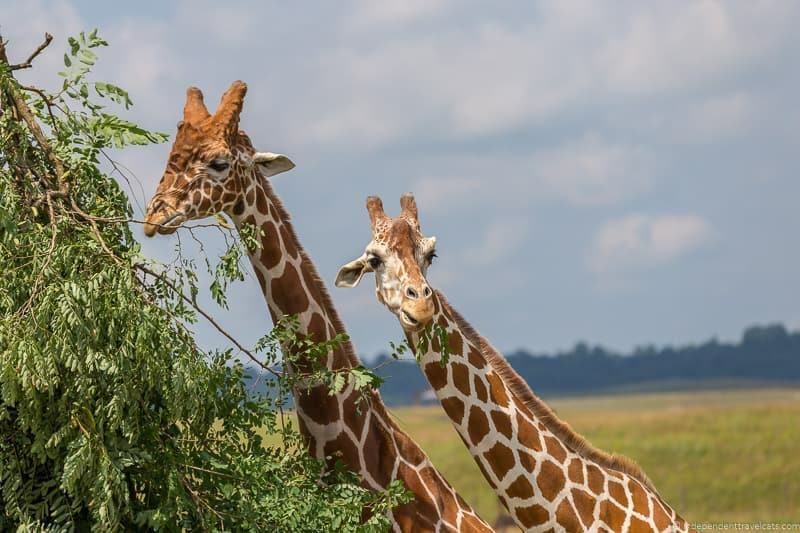 The open-air safari tours are great in the summer and a good value, you can also consider a private encounter or a Wildside Tour if they are within your budget. As many animals will seek shade and naps in the middle of a summer day, I’d recommend trying to be on the first tour of the day or the last as you may see more animals and also it may be less crowded. Since you’ll be there for two nights, you have plenty of opportunity to see the full park and choose the time of your tour and also explore at a slow pace. If you are staying overnight in the park, be sure to ask what activities are going on during your stay. Often there are boating, fishing, swimming, ziplining, and horseback riding activities available. If you are traveling with kids, it can be really fun to teach them about some of the animals and have them try to then spot them during your tour and from the observation deck of where you are staying. If you have a pair of binoculars, these can be fun to bring. I’d also recommend buying a few snacks/drinks to bring with you at a grocery store before getting here so you don’t have to rely on always eating at the park as it can add up. Have a great trip and feel free to come back and comment about your visit to The Wilds! Hi Iva, I think that may actually be a big girl:) It was a fun experience, it was not quite Africa but it is as close as you can get in Southeast Ohio and a great place to visit! You know, this is why I follow bloggers. I’ve been in that part of the country many times and had no idea this even existed. What a fun place! I think I’d rather roam around on a warm day, but I’ll bookmark it for the next time I’m driving though Ohio! Hi Seana, yes the Wilds is a great place to visit the next time you are in Ohio. It is a bit out of the way but a great place to spend an afternoon! When I worked at the Zoo in Alaska, Jack Hanna was a guest speaker at our yearly fundraiser and talked about the Wilds. Ever since I had wanted to visit. Thanks for sharing your experience and some great photos. Hi Mar! Yes, I almost mentioned Jack Hanna in the post. I went to the same college as an undergrad that both he and his wife graduated from and the Wilds is located only about 20 minutes away. He was director of the Columbus Zoo in Ohio for many years and the Wilds now has a close partnership with that zoo. Jack Hanna has visited the Wilds many times and helped promote it. If you are in the Midwest, you should definitely plan a visit as I think it is still the largest wildlife conservation center in North America.